PeriWatch Vigilance™ is a Perinatal Early Warning System that notifies clinicians about patients whose conditions are worsening. Using an artificial intelligence-based approach, it continuously analyzes fetal heart rate, contractions, labor progression, and provides maternal vital signs alerts. Notification thresholds can be configured by each institution and the actual alerts appear on the department census board. PeriWatch® Cues is designed to aid tracing assessment at the bedside, at the nurses station, and remotely. Published research shows that use of the advanced analytics that power HUB was associated with a reduction in NICU transfer and fetal resuscitation rates, and stabilized cesarean rates despite rising patient complexity. 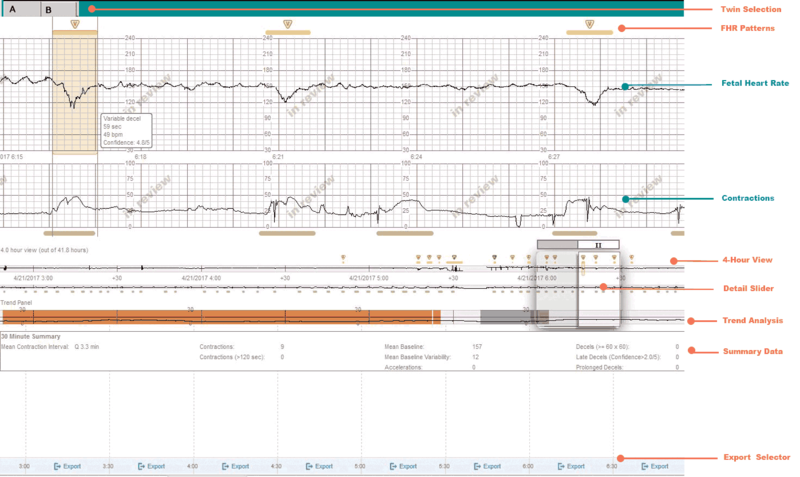 This invaluable L&D tool, based on NICHD guidelines and validated by a team of NIH experts, provides clinicians with real-time tracing analysis and visual cues regarding accelerations, decelerations, FHR baseline and variability and longterm trends. 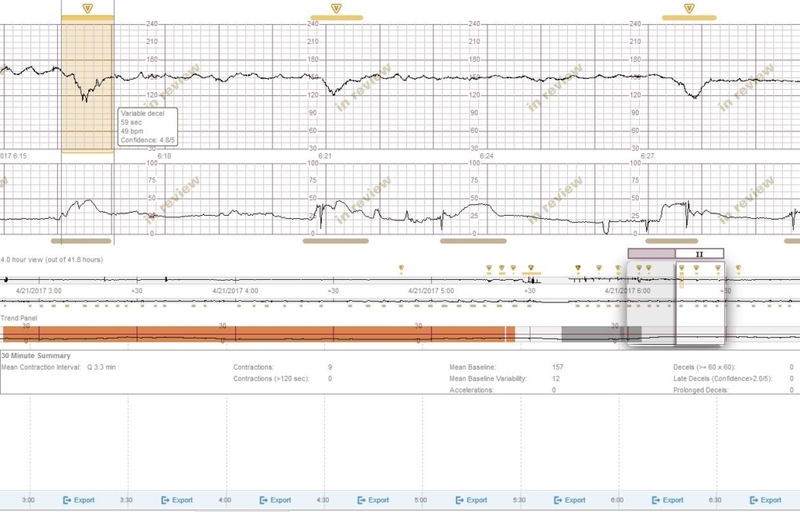 At a glance clinicians can see tracing evolution. 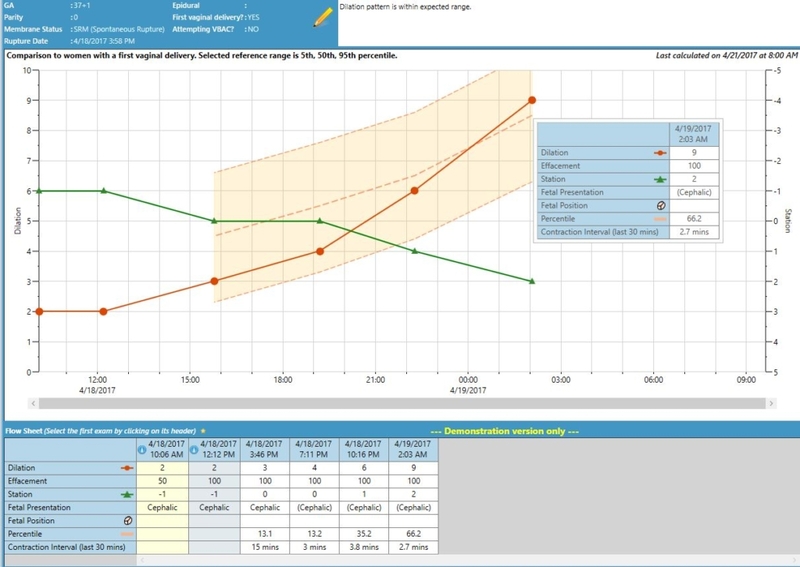 PeriWatch® Curve is the labor progress tool that provides your labor & delivery team with the ability to compare a patient’s dilation with a reference population. 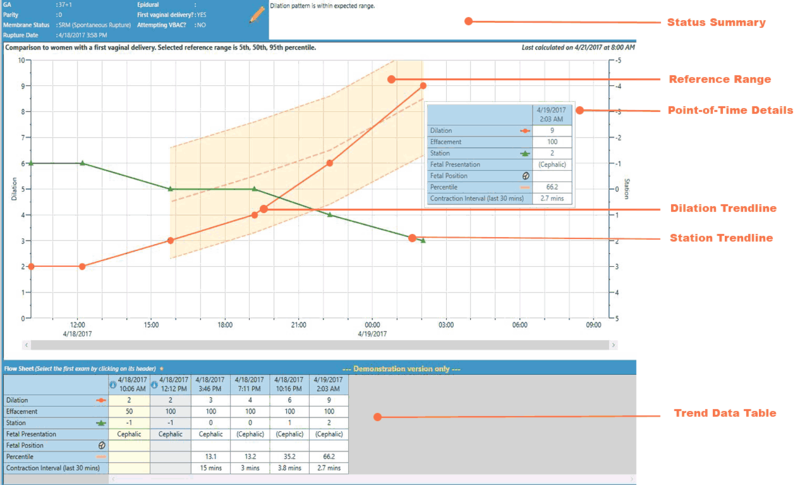 Curve comparisons take contraction frequency and several other factors into consideration. 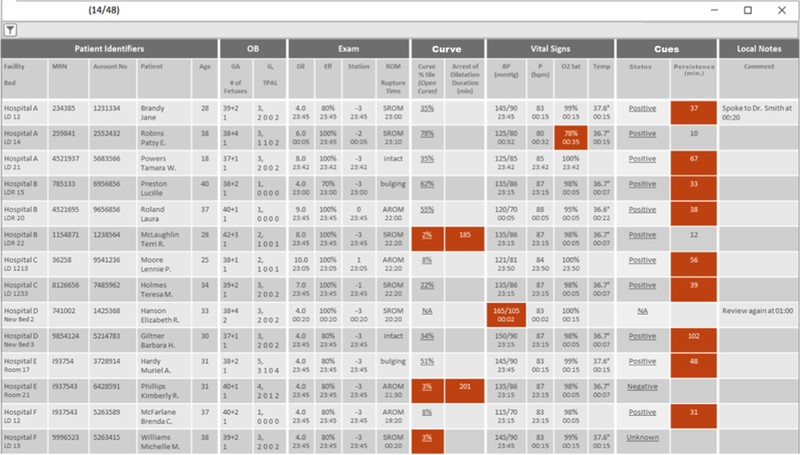 The application is convenient to use and gives clinicians an objective and quantitative evaluation using a graph, percentile rankings and a table summarizing all examinations. Published research shows why it can be used from 3 cm onward and has a better safety profile than traditional methods. PeriWatch® HUB is an intelligent perinatal dashboard designed in collaboration with Ochsner Health to facilitate the timely recognition of maternity patients developing critical illness. It prioritizes patients based on your threshold settings for vital signs, labor progress, and fetal heart rate patterns. Published research shows that use of the advanced analytics that power HUB was associated with a reduction in NICU transfer and fetal resuscitation rates, and stabilized cesarean rates despite increasing patient complexity. 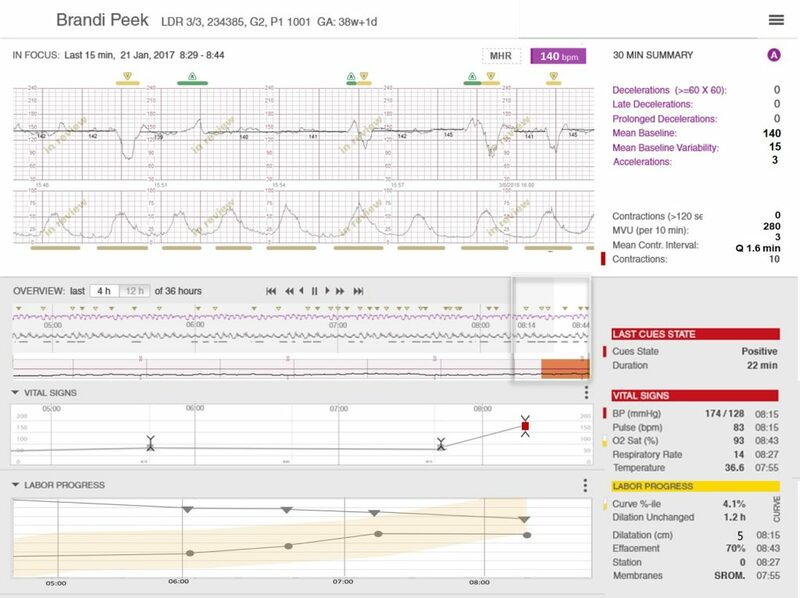 PeriWatch® HUB is the first electronic perinatal dashboard designed to help clinicians focus on patients experiencing critical conditions and needing their attention most. 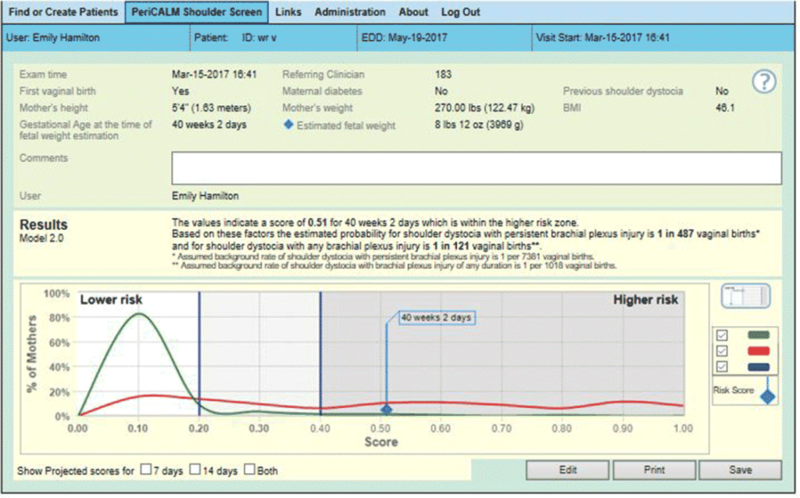 Shoulder Screen is the only software designed to help physicians to estimate a patient’s risk for shoulder dystocia with brachial plexus injury. It is a web-based tool used in the prenatal period during office visits. In a research study published in the American Journal of Obstetrics & Gynecology, its use was associated with a 50% decrease in shoulder dystocia rates.